In 1955 my uncle Calvin was shot and killed by a white man. He was unarmed and standing a few feet away from his assailant. 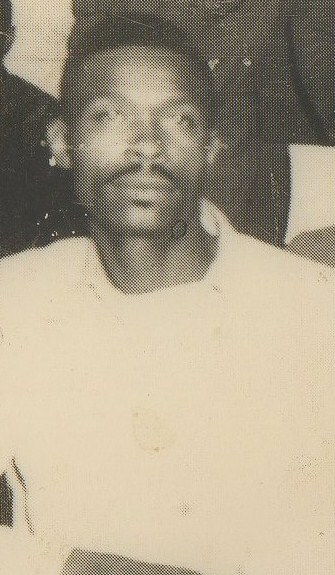 The crime was witnessed by several black men, including my father and older brother Lawrence. A trial, of sorts, was held. The assailant alleged self-defense, despite testimony from several eyewitnesses who said Calvin was not aggressive toward the assailant and turned toward him only after being ordered to, and despite the sheer absurdity of the idea of Calvin menacing someone holding a gun on him. Apparently the self-serving statements of a white man out-weighed logic and black eyewitnesses. Variations of this scenario have played out in black communities throughout the country. It is through this prism, shaped by life experiences, that many in the black community viewed the Zimmerman verdict. The nuances of self-defense and ill-advised laws like stand your ground are over powered by one powerful fact. An unarmed black youth en route home from a store was followed and subsequently encountered by an armed white adult and ended up dead. Older black adults, although usually more subdued, likely feel a deeper sense of futility and frustration. This is because their experiences were lived, not anecdotal. That feeling of though a black man occupies the highest office in the land, something they never dared to hope to witness, you are still valued differently than white America. If my dad was still alive I wonder what he would make of all this. Would he see some striking similarities to Calvin’s death? Would he feel the deep hurt being evidenced in black communities throughout the country? Calvin’s death propelled our move to California to a better life and more opportunities. Maybe, just maybe, Trayvon’s death can propel all of us to a better place, a better country…maybe. WE THINK that roads are certain, but most often they are misleading … they look straight but are curved, flat but instead reveals itself to be a ever steeper incline. Here’s to those uncertain, open roads…. SOME thought there was no way out, but to my thinking there was nowhere to go but up….